At CCCG03 I saw an interesting talk by Tetsuo Asano on halftone algorithms that caught my attention. My first remark after searching for dithering examples was that many images appear too bright. The following is a comparison of images dithered using raw R'G'B' against images using values gamma corrected for an sRGB display device. 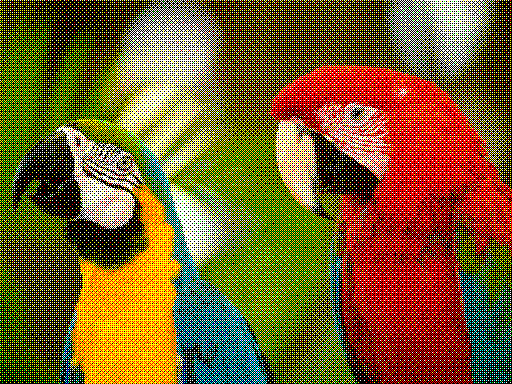 This matrix is applied on each colour component individually to return a 3-bit per pixel image, one bit for each of red, green and blue. First, we compare the original image to our 8-coloured dithered version. 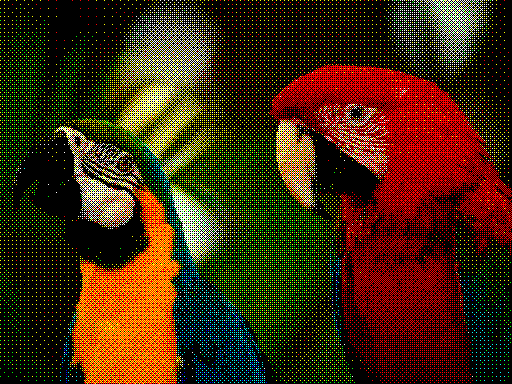 Next, we show a dithered image that uses the original matrix.